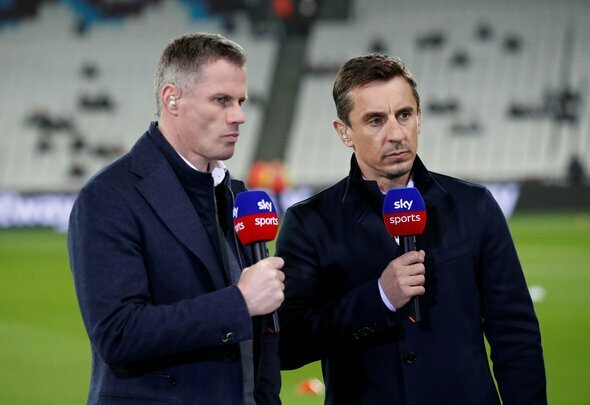 Gary Neville has revealed that Jordan Henderson pointed out the former Manchester United man was not happy with Liverpool’s win against Southampton on Friday night. Jurgen Klopp’s side came from behind to win 3-1 at St Mary’s and return to the top of the Premier League standings. Henderson came off the bench in the second-half and assisted Mohamed Salah’s strike before getting on the scoresheet himself with his first goal of the season. Neville shared that the Liverpool captain said to him in his post-match analysis. It must be a horrible time to be a Manchester United fan right now – but who cares? Neville would probably want Manchester City to win the league more than Liverpool and he would undoubtedly have been gutted to see Klopp’s men come from behind to win all three points on the south coast on Friday night. Henderson made all the difference after he came off the bench in the second-half. Liverpool’s midfield was turgid, devoid of creativity and failed to help out the defence before him and James Milner were introduced to the action. It is time for Henderson to stop being so under-rated by Liverpool supporters and it is time for the fans to realise that this man could be the first Liverpool player to lift the Premier League trophy next month. The Reds are in pole position for the title right now, and although Man City have a game in hand, having the points on the board is better than not having them.